The challenge: To update the online tools for members and make it easier for them to be successful on their journey to becoming healthier. This was the first big project I worked on. When I joined, they were in the process of updating the look and feel of the online tools and looking for flaws with the existing product. My role & approach: I needed to be onboarded quickly to understand how the teams worked together. As the front-end developer, I worked with IAs and designers, reviewing designs and interactions to figure out what was feasible within the timeframe. One of the biggest challenges was using the waterfall methodology, which didn’t give me the opportunity to give early input, which led to push back and changing of requirements later. Since it was my first project I had to learn to adapt quickly so that we could put out the best product. The creative team, which consisted of IAs, designers and developers worked with customers and other internal teams to strategize the best experience using personas, journey mapping, user flows and user testing. The impact: After updating the look and feel of our online tools we saw a significant jump in user retention and use of tools. Our members were very excited about the new look and feel of the tools and as a cherry on top, we were awarded a Webby for this project. 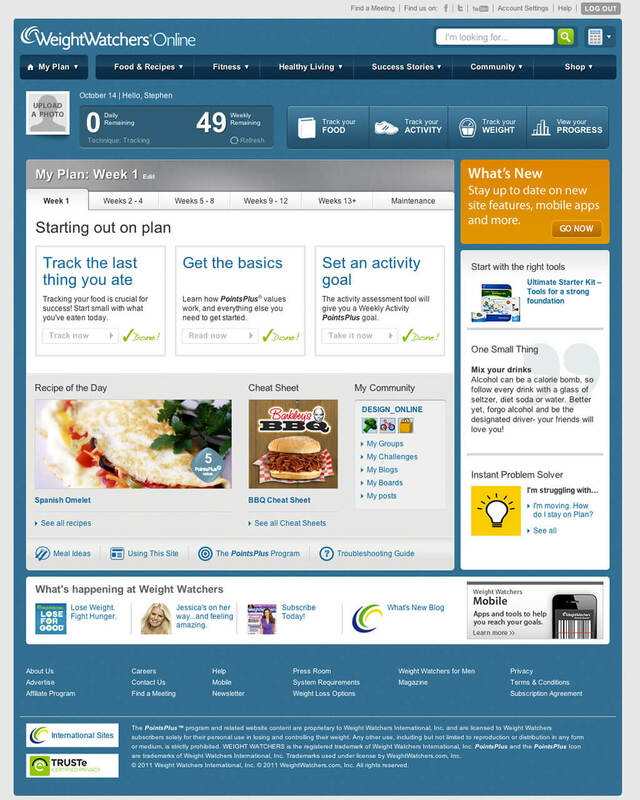 Image Caption: Weight Watchers member homepage.